Not content to rest on the wealth of free updates already, Nintendo has launched a new mode in Splatoon called Rainmaker. This mode tasks you and your team to carry a giant golden fish known as the Rainmaker into the enemy's base. You won't be defenceless though, charge this titular little number up and you'll unleash a flurry of ink similar to that of the Inkzooka, but much slower moving. You can see all the action below for yourself in this rather snazzy video we cobbled together. Are you planning to give this aquatic effigy a spin later today? Let us know in the comments below! I was playing it with my bud just a few minutes ago, and based on what we played, it's really fun. I think it may be our favorite mode so far, but I hope Nintendo continues to add more modes and features to Splatoon. It'd be a shame if they just stopped with Rainmaker. I've played a good few rounds now and I like it,well when there is actually a proper scrap over it I do.The last few rounds I played there were over in no time,I didn't check the time that had passed but it felt like less than 30 seconds.I was waiting longer in the lobby than some of the matches lasted.I still prefer Tower Control though I think. This is the first ranked mode that I'm actually good at, so I'm definitely enjoying it. It's just frustrating when someone else has the rainmaker and decides to take a more difficult path to the goal. On Camp Triggerfish, you should learn in a couple rounds the best path is to go around on the left, use the railings as cover, and catch the enemy in that choke point at the end, but players will often go straight at the spawn point with the rainmaker... and quickly get killed. 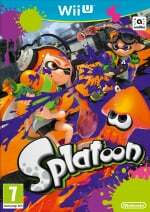 So are Splatzone and Tower Control available to play while Rainmaker is playable? Or do they still rotate? I was far too tired to stay up late to play this, still tired now for some reason. This looks very fun and I'll be sure to play some later. There's only one "Ranked Mode" option in the lobby, so you are only able to play what is presently available. Still? Aw too bad. I was hoping maybe they'd updated it now that there are 3 options, so you could choose between them instead of being forced to play a certain mode for 4 hours. Can't try right now; internet's too crap. Rainmaker is my favorite ranked mode by far. I'm not going to lie, I had forgotten the update was happening and when the squid sisters announced the mode while playing I immediately tried it out. I was the first to get the rainmaker, and had no idea what I was suppose to do. So sorry if anyone was one my team. It's fun! Still kind of learning though. Will probably go down to C- rank just figuring it out (but hopefully not), haha! @Aromaiden I agree. Somehow I feel like Regular Battle could do with a new mode because always playing Turf War means it's starting to lose some of its appeal. @Samuel-Flutter You didn't run toward your own base did you? My favorite mode so far, but it was on my 2 favorite stages, Trigger fish and Dome, so that probably helped. After awhile I was wondering why this didn't release before tower control, it's so much easier to pick up and swim, and it's a lot harder to hit w/ inkstrike. Moray Towers is gonna be nuts though. That bubble shield it's in was pure genius, the explosion is so awesome even getting splatted by it is cool. And the fact that it grows and pushes you back is a nice touch. Tip for anyone yet to play - recon the levels first. Camp Trigger fish is my favorite yet it was almost unrecognizable w/ all the changes they made. Kelp Dome had a couple of walls but mostly unchanged from Tower control, which is a bit different from turf war though. And it's a good idea to recon to find out where the "base" is to win. And get used to using the fish. @Alex_Olney how to be a pro at Splatoon part 3? plz! @Gameday cut the cable and put a USB plug on the end. I've had my USB gamepad charger for ages now. You need some sort of y cable extension when using the Wiiu USB sockets though as they don't supply enough power for the game pad through one. Alternatively use one of those USB mains adaptors for phone chargers. On topic, seems like a good time to go back to splatoon. Every time I've been on recently its been a splatfest and I've kind of had enough of those already. I'd prefer splatfest to mix it up with some ranked battles instead of turf war all the time. @rjejr Hah. No but I did have a teammate that did that, which caused us to lose in overtime. I grabbed it after it exploded, and my teammates all died. So I stood in the middle just shooting people. Didn't know I was suppose to go anywhere. And when I did make it to the enemies base, I had no idea where I was suppose to put it. @Samuel-Flutter And that's why I always recon every new mode and stage. I can see how just holding it and shooting could be a viable option though, lots of video games have modes for winning just by holding onto an item the longest, keep-a-way so to speak. Losing in OT suick though. Especially when you have a big lead and the other team makes a dramatic comeback. I did that to another team once and actually felt bad for them, that's how upsetting it is to me. Losing in OT when you have it but just can't make it - my team was exactly 1 point short once - is still bad, but not nearly as bad as blowing a big lead, you can at least say you tried and never gave up on the last attempt ones. tip: scout the paths to the enemy base midgame, before you go for the rainmaker. often times, there's a clear alternate path already inked by your own color (if not, try setting it up - chances are it will stay relatively open while the opposing team is fighting/defending on the other path). then try to get it and swim back through your own ink, often towards your base, to the alternate path. don't pop up until you absolutely have to. the other team will likely still be fighting in the last location it was at, while you're "making it rain" on the other side of the map. it's like a feint. So how does it work? When someone loses it you have to splat it enough to make the bubble grow and burst, then you get to take it? @Aromaiden Link to proof of 6 new maps coming? I thought we were only getting 2 more. I don't doubt you, just curious. @zeldagaymer93 NWPlayer123 leaked the 6 map names on Twitter just hours after the 2.0.0 update. @rjejr : Recon for sure! Such an important point. Well, so far I don't like Rainmaker very much. When can we play Tower Control and Splat Zones again? Those two will still remain my favourite modes. I had five games so far, the first four were all on Saltspray Rig - awesome for Splat Zones, awful for Rainmaker - and we lost all four of them. The fifth one was on Urchin Underpass and we won pretty easily. I don't know if it's just the Saltspray Rig but it seems like the distances for Rainmaker are very short. Why didn't they use the whole map like in the other modes? That said, I'm starting to get really disappointed that there are now three ranked modes in the rotation. Why not have all three going parallel at the same time? There are sufficient maps to spread across four modes, after all. Well, guess I'll be playing more private (and hopefully one day, squad) battles in the future. On thursday and friday, I joined the private battle of a twitch streamer (haven't got my own Elgato capture card, yet) and it was really fun! Also there is a nice little community in the according chat. Tomorrow (sunday, CET) he will be streaming again, starting at 14 o'clock (if anyone wants to join: http://www.twitch.tv/bizzy_moose/profile). Hopefully they won't play Rainmaker exclusively. @Calllack Actually, I rarely play Regular Mode anymore, it's just not serious enough. There is a clear difference in the behaviour of the players, in ranked battles everyone is more focussed and puts in more effort. Also, there are far more noobs in TW (I didn't think I would ever say something like that ^^). @day Yeah I actually did that a lot, unfortunately, so far all the players I played with weren't smart enough. Everyone runs directly to the Rainmaker, but someone has to clear the path. About the OT losses: I actually experienced this a lot in TC and SZ already. When your team has a comfortable lead, like only 10 or 5 left, everyone seems to get complacent and loses focus. I don't really get it and find it frustrating. It's like football: you have to concentrate for the full 90 minutes. I'm loving Rainmaker! I think Camp Triggerfish is the best map for it so far. @shani To be honest, Saltspray Rig is my least favorite stage for Rainmaker, too. Saltspray Rig is really linear, while Kelp Dome, Camp Triggerfish, and Urchin Underpass are a lot bigger. The matches seem to last longer the bigger the stage. I hope Arowana Mall turns out to be fun, that one is pretty linear as well. @bluedogrulez - I had to give up on the aeropsray for tower control, not enough distance. I would think it would be almost useless in rainmaker w/ that big bubble shield and how long it takes to pop, just sitting ducks. @JaxonH Yup, just like that. If you run into it after the other team drops it it will splat you. I've hda that happen too many times, it's very embarrassing. I never even touch the thing anymore, it's too slow, drives me nuts. Though carrying it to a late game win yesterday was very thrilling. @JaxonH You need to work on promoting yourself better in your pick up lines, or you're going to be single forever. I played for 4 straight hours yesterday afternoon, I may need to take a break today, but I'll let ya know if I change my mind later, maybe after dinner. Have you been in the forum thread, a few people in there are always setting up games. And Sin plays but I don't think I've seen him in there. Time for lunch, my wife made us tuna. Rainmaker is pretty awesome when you have the team for it. It also reminds me of Shine battle in Mario Kart: Double Dash. I just bought it 3 days ago and I kinda hate it that I missed Tower Control. Also, I've learned that you can't just roll your way through Rainmaker with the Roller because either it's too weak to trample opponents or I need more power-ups.